Surprise Home Linen introduces its in house high-end home textiles venture, Housewarming. 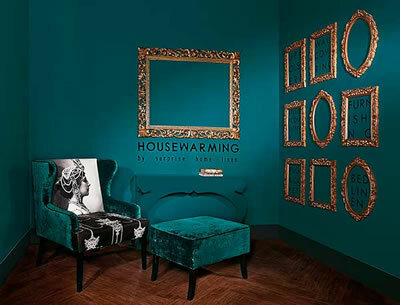 Housewarming is a service to produce bespoke textiles for homes and is crafted especially for avid personalisation adherent to those looking to add a personal touch to their space. Aptly named and designed, the Housewarming studio at Surprise Home Linen epitomizes the brand’s efforts to help create and decorate beautiful spaces. Available here is a range of Indian and international designer furnishing fabrics, upholstery and wall coverings & wallpapers. Housewarming doles out a gamut of services that include mood board designing & fabric coordination, curtain stitching, styling & automation along with wall cladding & paneling and wall covering installation. Furthermore, Housewarming delves into project consultancy, designing and making customized home-textile products such as bed covers, cushions, duvets and bed sheets, embroideries, digital printing on fabrics and table linen. This stylish service station promises to redefine luxury home textiles and wall coverings in the city. Taking personalization a notch higher is the monogramming service for bed and bath linen. Drop in at the store for an experience that takes you through every step in creating a space that echoes ‘you’.